Finally, let me talk about the E3 video game trade show that will be held in Los Angeles this June. 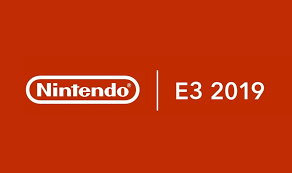 Once again, Nintendo will not be hosting a large-scale conference for institutional investors, securities analysts, and the media. Instead, we plan to continue our practice of the past few years, which is to release a video presentation discussing the games that are planned for release during the fiscal year, provide hands-on opportunities, and so on. The world championship tournaments for Super Smash Bros. Ultimate and Splatoon 2 will be held on June 8, right before the start of E3. This concludes today’s presentation. We are continuing to implement a variety of initiatives in our IP expansion business. Starting in April, we launched a T-shirt collaboration with UNIQLO CO., LTD. in various regions of the world earlier this month. We will continue our efforts to increase opportunities for people to have access to Nintendo IP and increase the value of that IP, which is the source of our competitive edge. Scheduled for May 21 - June 4 2019 (PDT) As we announced the other day, we are accepting applications for closed beta testing of Mario Kart Tour. The closed beta is scheduled to start on May 21 (Pacific Daylight Time). Based on the information we gather from this testing and from the opinions of the participants, we will proceed with final preparations for release. 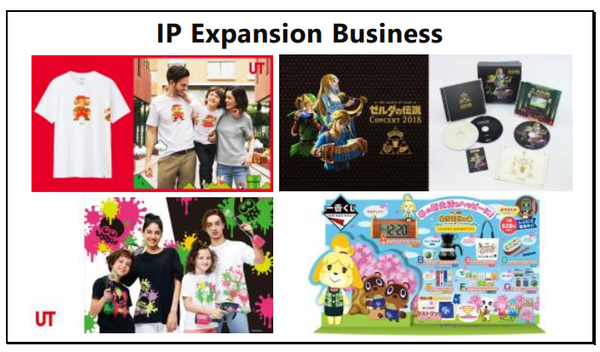 The six applications including Mario Kart Tour deal with different IP, and the goals and the characteristics for the applications also differ. 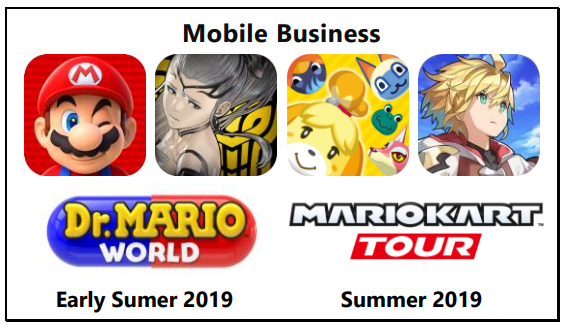 Going forward, we will leverage the ubiquity of mobile devices to expand the number of people who have access to Nintendo IP through multiple applications like these. Half a year has passed since Nintendo Switch Online went live last September. Global memberships now exceed 9.8 million accounts, excluding free trial memberships. Note: This number includes family memberships. 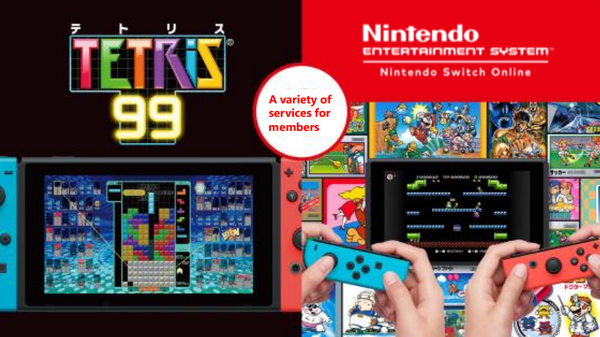 A variety of services for members Tetris 99 has been available for free since February as a special offer to Nintendo Switch Online members. This game pits 99 players against each other in online battle. It has been played by 2.8 million accounts and has helped boost engagement for Nintendo Switch. We plan to implement in-game events to encourage consumers to keep enjoying the game. Entertainment System - Nintendo Switch Online gives members instant access to a variety of classic NES games with added online play. Through these initiatives we are working to make these services more attractive over the long-term on Nintendo Switch Online. We are also bringing an even richer variety of new titles from other software publishers as we enter the third year of Nintendo Switch. What you see here is just a sample. These will range from evergreen titles for video game fans to titles that can be enjoyed by anyone, regardless of age or gender, characteristic titles created by indie developers, a variety of genre-specific games, and more. By bringing them together, the Nintendo Switch library will continue to meet consumers’ diverse tastes. kits shipped to publishers continues to greatly exceed the number of kits for any of our previous platforms, and many developers are creating titles for Nintendo Switch. 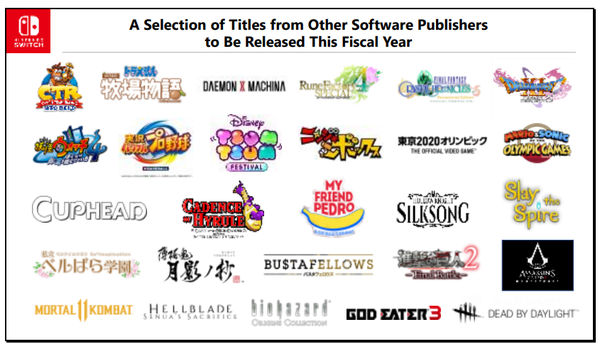 As you can see, we will constantly release new titles during the fiscal year ahead. And there are still more titles that we haven’t yet discussed. We intend to continue to expand the lineup of software that can be enjoyed by consumers around the world and that will keep people playing Nintendo Switch. game, we are making the game fresh for consumers and encouraging them to keep playing. 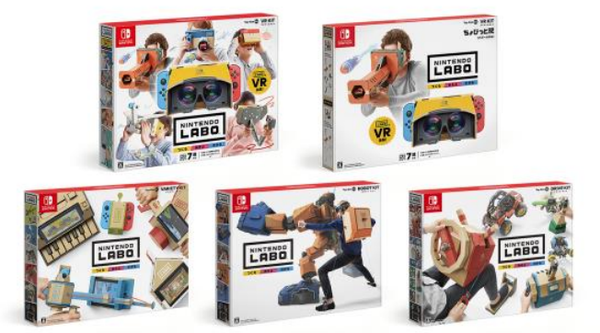 The three Nintendo Labo kits released last year received an Innovation Award at the Game Developers Conference in the US this March, and a BAFTA Family award and Game Innovation award at this month’s British Academy Games Awards. The product has been recognized for its innovation in many countries and we are exceptionally proud of these achievements. Nintendo Labo is even being used in schools, and we are continuing to pursue sales so that even more consumers can enjoy the series. 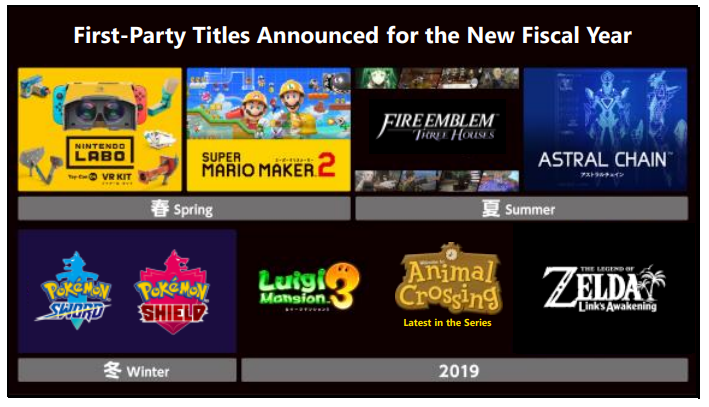 These new titles, first announced in a Pokémon Direct in February, have generated a huge response from consumers. Pokémon: Let’s Go, Pikachu! and Pokémon: Let’s Go, Eevee!, which were released in November of last year, are designed to highlight the fun of Nintendo Switch in TV mode, for example by waving the controller at the TV screen to capture Pokémon. 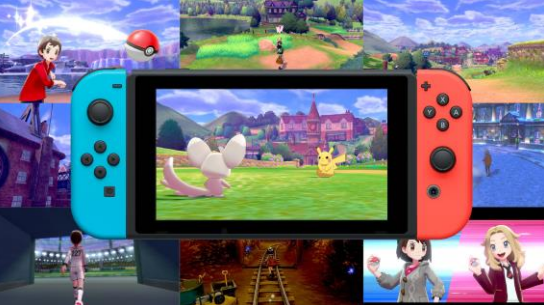 Pokémon Sword and Pokémon Shield are being developed to emphasize the fun of playing Nintendo Switch in handheld mode. We want these games to be played not only by longtime Pokémon fans, but also by consumers whose first encounter with the series was on a dedicated video game platform with Pokémon: Let’s Go, Pikachu! and Pokémon: Let’s Go, Eevee!